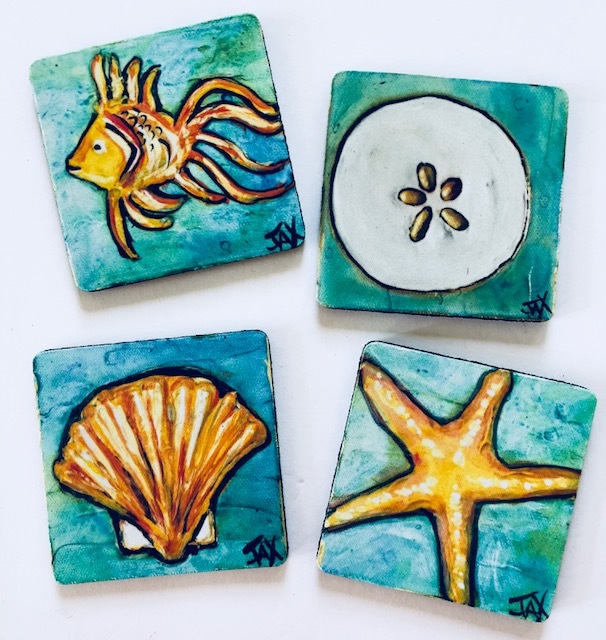 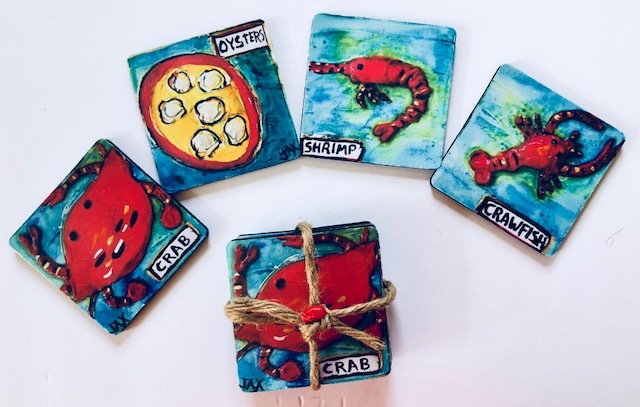 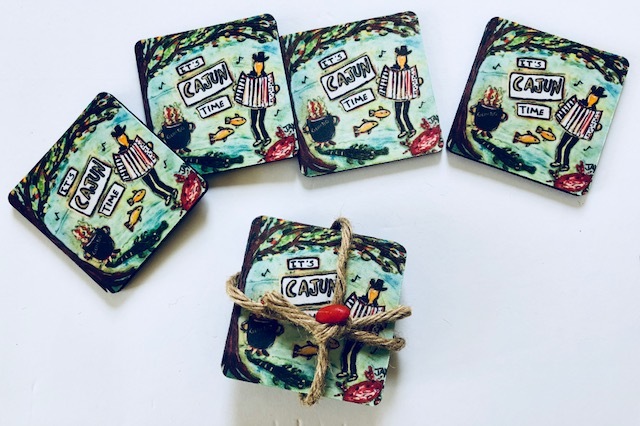 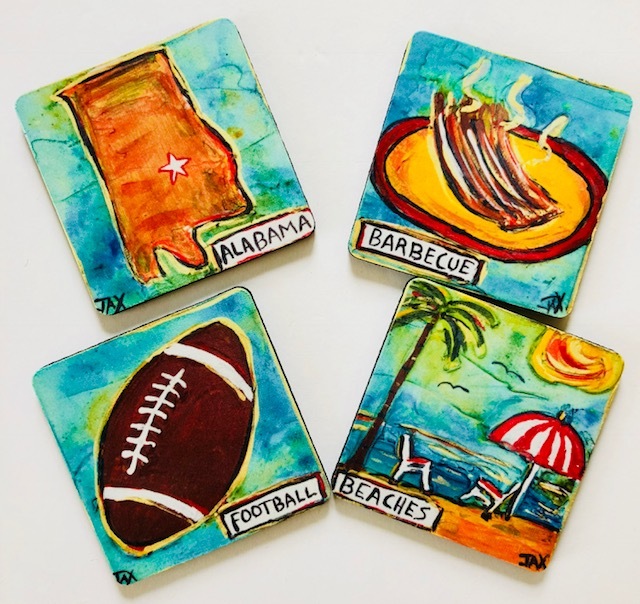 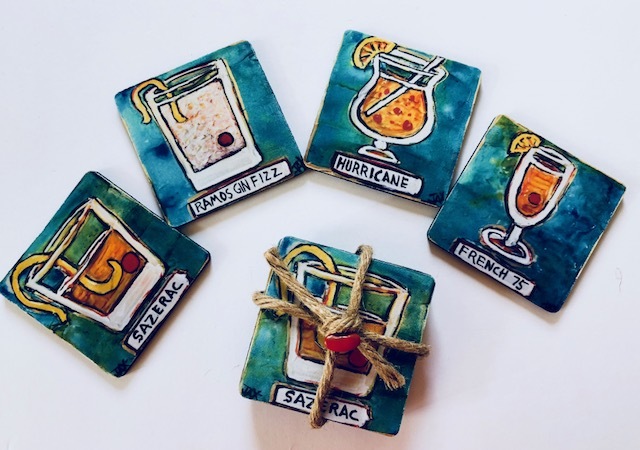 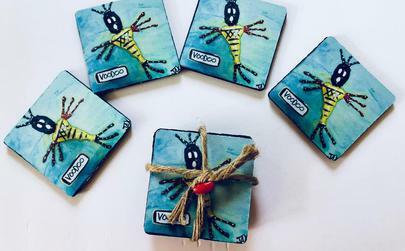 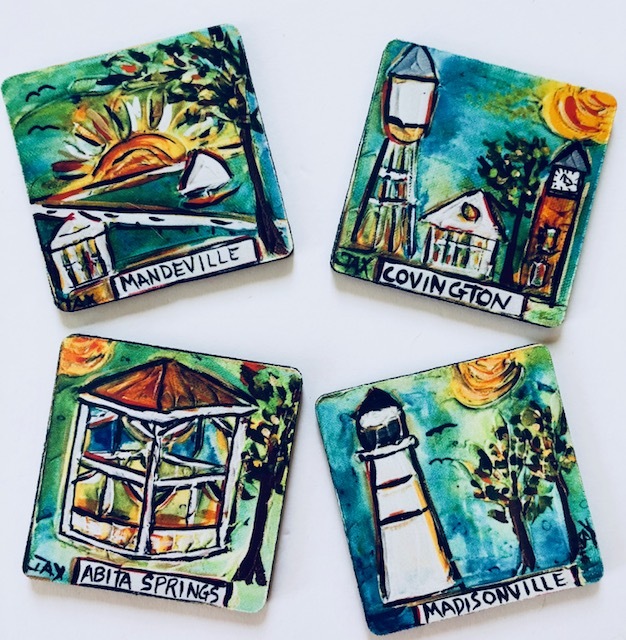 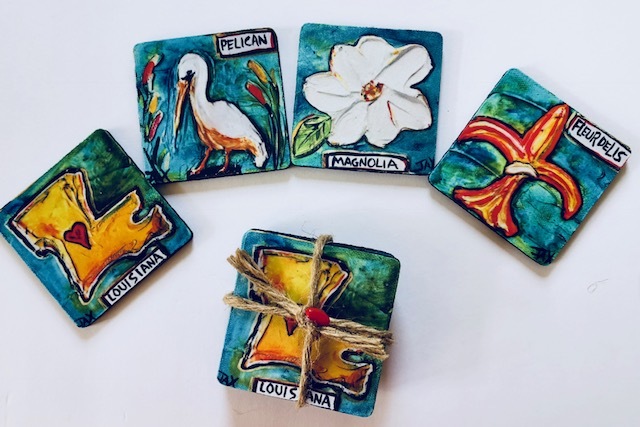 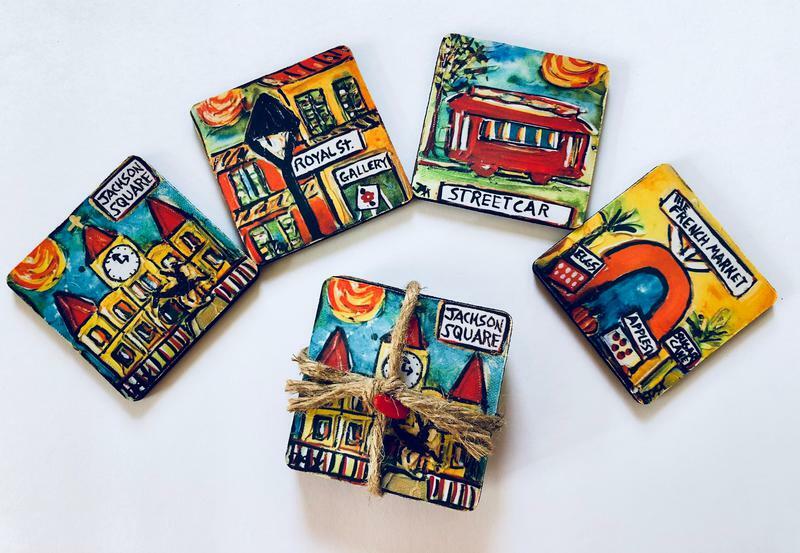 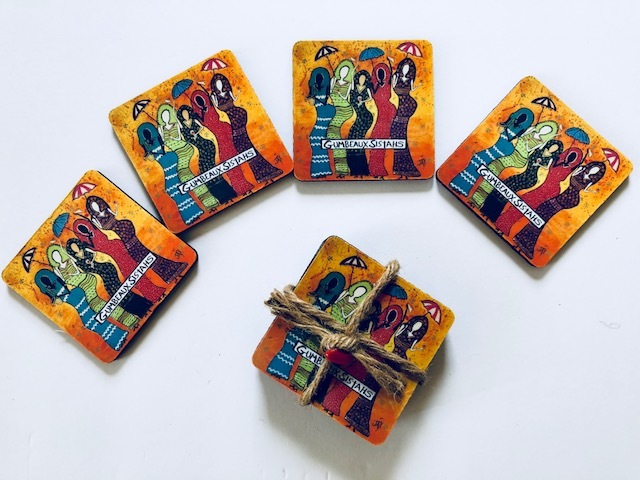 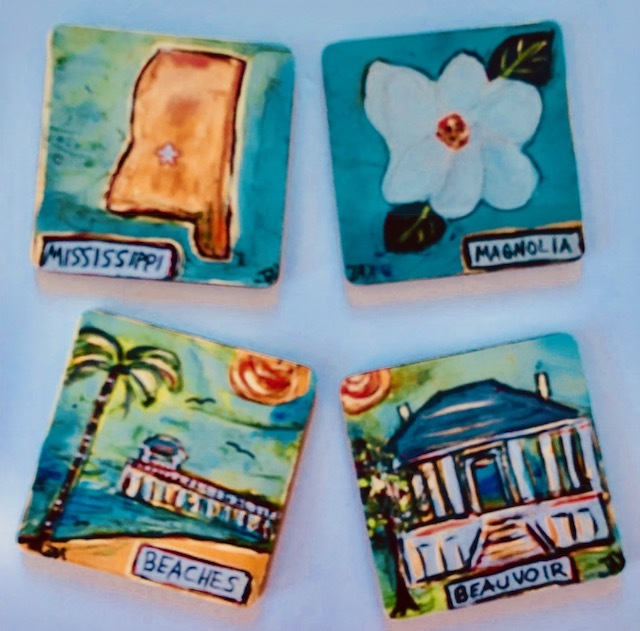 4 neoprene coasters (unless specified) in different styles, tied with twine and embellished with signature red bean - the perfect choice for a hostess gift! 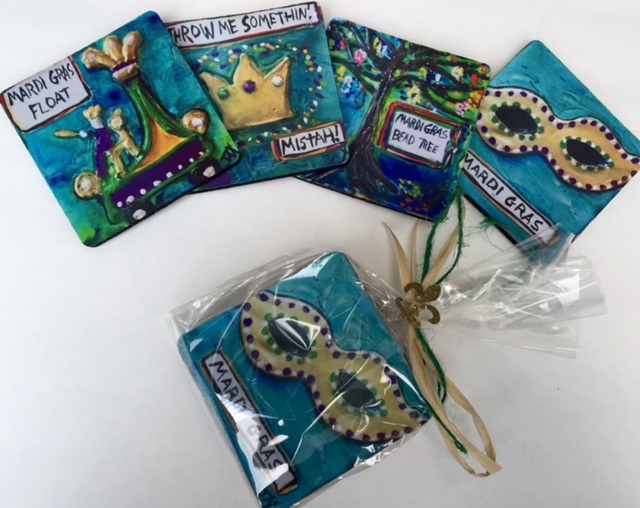 Mardi Gras Set - includes Mardi Gras Mask, Float, Bead Tree and Throw me Somthin', Mistah! 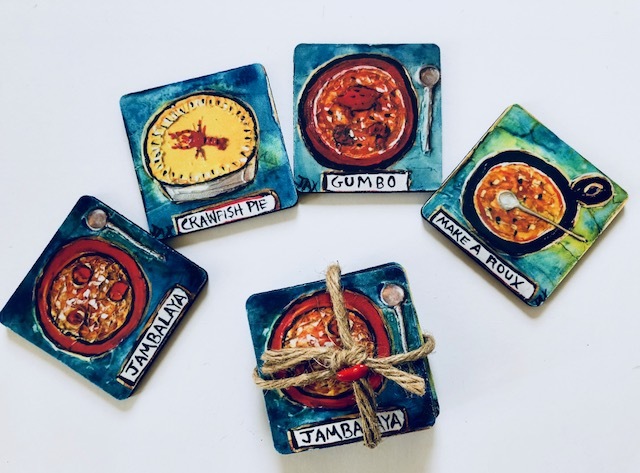 It's Cajun Time Set - all 4 images of It's Cajun Time!